Want tosave 2,20 kn on this order and become Loyalty program member? 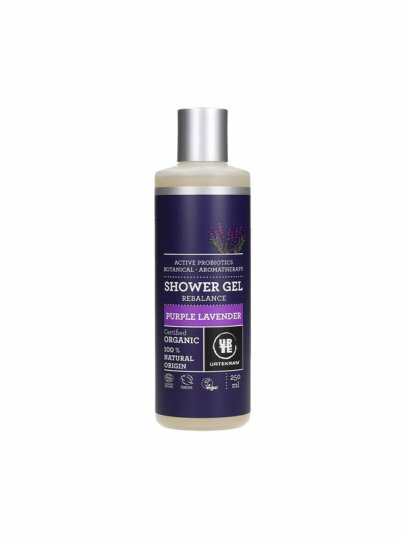 The natural formulation of organic lavender, herbal extracts and essential oils makes the shower gel suitable for absolute care for normal or dry skin. Aqua (water), aloe barbadensis extract list *, sodium coco sulfate, lauryl glycoside, glycerin ** coco glucoside, diglycerol, glyceryl oleate, Lactobacillus yeast, Lavandula angustifolia extract of the flower *, Salix purpurea crust extract *, Lavandula hybrid oil * Rosmarinus officinalis oil *, Lavandula angustifolia oil *, eucalyptus globulus oil *, Chamomilla recutita oil *, caprate, polyglycerol-4, sodium cocoyl glutamate, tocopherol, beta-sitosterol, squalene, sodium hyaluronic acid, sodium chloride, lactic acid, perfume, , linalool.